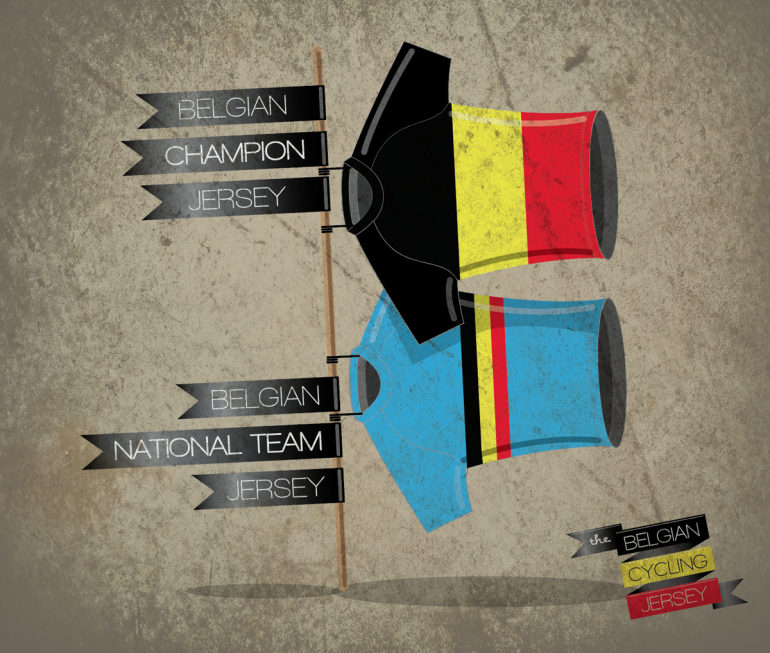 Being a Belgian design manager running my own design agency as well as a company specialized in the development and production of sports wear, it has been eating me for years: Why is the Belgian ‘tricolore’ on our national champion’s jersey running horizontally while our national flag’s stripes are directed vertically? Surely, it’s not a life-threatening issue but it seemed to be enough to keep me wondering. On September 8, 2012, after watching the World Championships mountainbike featuring some of Belgian’s best riders sponsored by our company, I realized that the Belgian Champion’s jersey wasn’t the only mystery out there. That’s when I decided to start ‘a little’ research on the history of the Belgian cycling jersey. Thebelgiancyclingjersey.com is meant to be an interactive research diary. It helps me collect and structure information and thoughts and share them with you who seem to be interested enough to read this blog. I welcome you to join the discussion!